Here's hoping this'll be the one! I was having a rough day but reading these posts about the online release made me laugh for the first time today. DPF you are the best! MerlinEmrys, AshleyV and krand1276 like this. I know, right? That said, it's not like I've ever had a successful online order from DSSH anyway (except the leftovers no one was interested in), so I'll just tell myself that I dodged an hour of frustration and constant refreshing. I'm never successful for DSSH online releases either. The odds may be in our favor now. 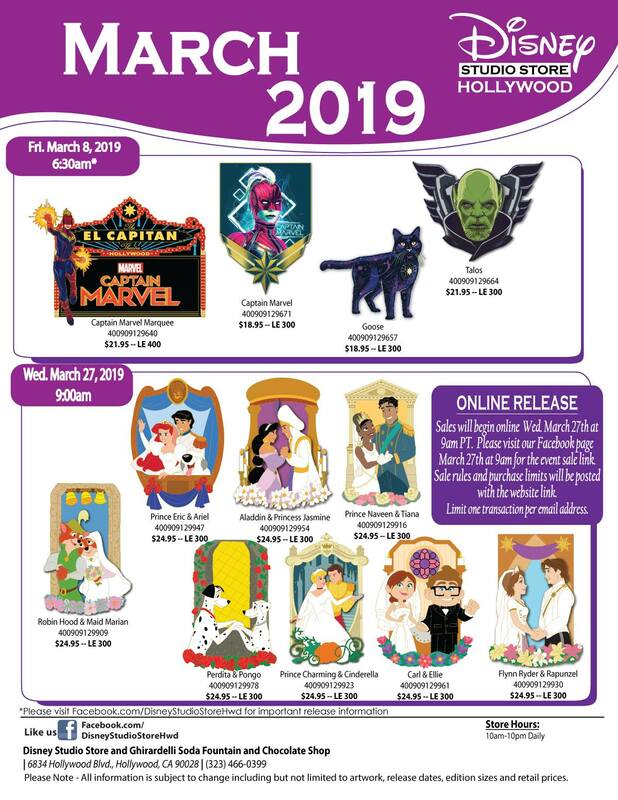 I think if there is one thing we can breathe a sign of relief over for this online release is that in general, over the long term, the online release pins tend to stay pretty lowish pricewise after they come down off of their initial high. krand1276, MerlinEmrys, watzshakinbacon and 1 other person like this. True, even when they sold the last round of BTs online those didn't skyrocket the way past BTs had. MerlinEmrys and slbrabham like this. Don't give up! If you don't get into the website right away, or if you do get in and it says a pin is sold out, there's still a chance one could become available later (due to people not being able to check out with items they've selected, etc.). Sometimes people end up getting pins an hour or two after the release begins... it's rare, but it happens. I have a question about the DSSH online release. Will they cancel two orders going to the same house? I'm trying to convince my sister and brother-in-law to try for the pins. I do not believe that will be an issue. We have done two orders to the same address. One in my husband's name and one mine. In that case, though, we weren't duplicating pins. I was only able to get two, but then later as carts were expiring he was able to get a couple more. But I don't think they care as long as the names are different. Wanted to post this to show @timeerkat this plush from Japan. She’s going to want it for sure, probably. lol I think @prettyOmi collects Zootopia too. pretty Omi, raikipins, krand1276 and 1 other person like this. Brunette Rapunzel??? Be still my heart!!! 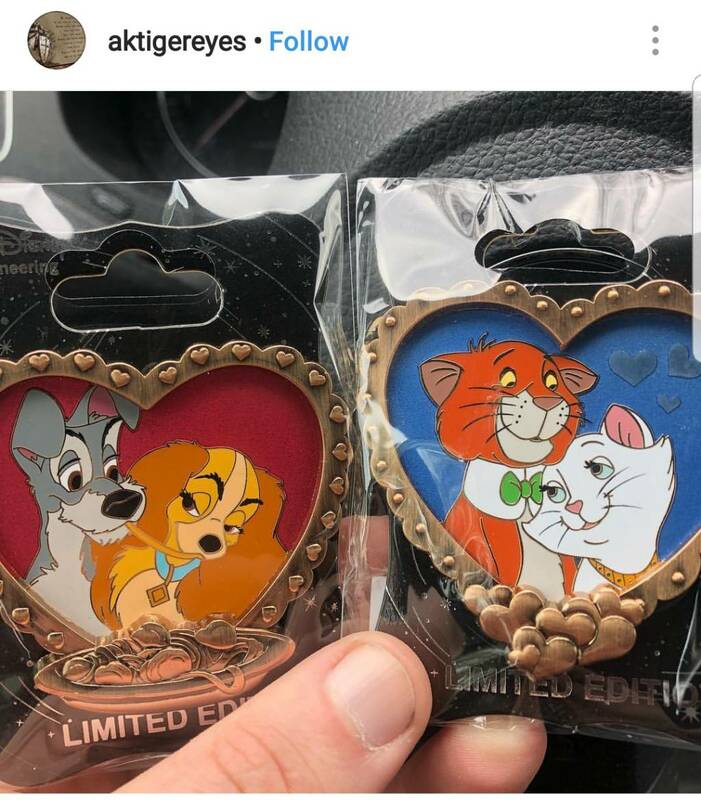 Looks like WDI got some valentine's pins I've been seeing pop up on the facebook groups and ebay. Lady & Tramp, Lumiere & Fifi, and Dutchess & Thomas O'Malley. Each couple inside of a 3D sculpted gold heart frame. Awww! The Lumiere and Fifi one is precious! They’re released now, so pics are ok, right? Lumiere and Fifi definitely my fav! Wait...did I know that was her name? We still can't post internal flyers, even if the pins have been physically released, as the flyer image is considered internal company intellectual property. We can only post photos of the actual pins. Two of the WDI Valentine's. I'll keep hunting for the last one. CCofRR13 and Kerri780 like this.